When the High Point Central Class of 1960 got together to plan and dedicate its commemorative scholarship, the group had students like Marbeth Salinas in mind. An academic high achiever with a commitment to service, Salinas is the 2018 recipient of the scholarship. She’ll be the first generation of her family to go to college when she starts at Appalachian State in the fall. She demonstrates such great leadership and a desire to do good for others, and these intrinsic values will allow her to impact any college or university community. Salinas demonstrated an amazing level of energy and enthusiasm for service within High Point Central High School and in the community. Her list of volunteer commitments during her high school experience is long, with a focus on human services. As co-founder of the school’s Red Cross Club, Salinas hosted blood drives. She led a fundraiser for a bilingual arts program and tutored English as a second language students in reading and math. Her love of art—especially theater, painting and music—merged with her interest in human relations when she curated art that advanced cultural diversity for a school exhibition. The list of service oriented extracurriculars goes on. Salinas was active in Interact Club, Human Relations Club, YWCA, the High Point Police Department Youth Leadership Academy, West End Ministries and Horsepower, aiding children with disabilities in horse therapy sessions. Marbeth Salinas. Artist, volunteer and leader! 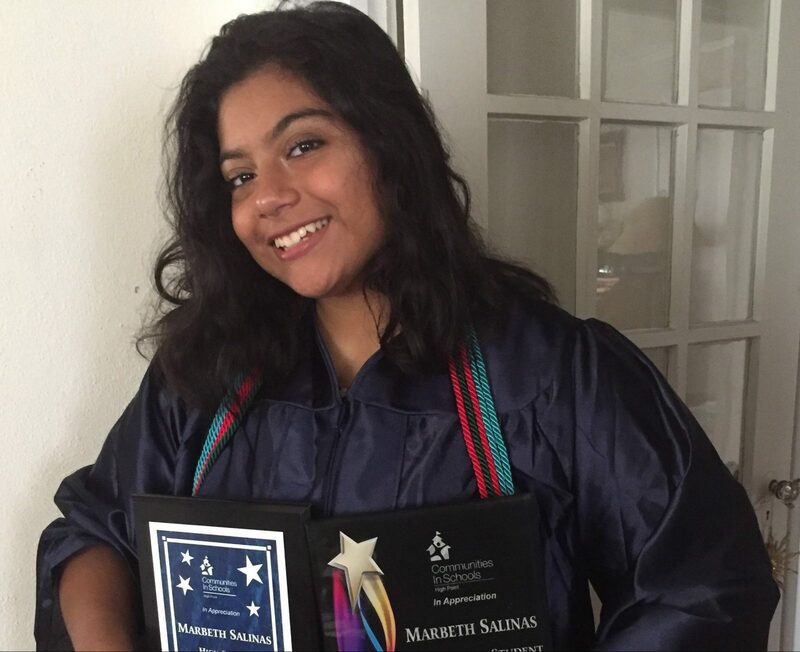 “It was kind of difficult because I wanted to breathe and just enjoy my senior year, but I`m glad I didn`t slack off too much,” said Salinas. Salinas plans to keep up this pace at Appalachian where she will work toward a double major in music therapy and art therapy with a goal to work with sexual abuse victims. The scholarship was founded by High Point Central alums from the Class of 1960 on the occasion of their 50th class reunion. A guidance counselor at Central advised Salinas that she might be a good candidate, so she applied. The High Point Central Class of 1960 Scholarship is administered by the High Point Community Foundation. Salinas plans to honor the Class of 1960 and the Foundation by continuing her community service commitment. “The High Point Community Foundation is really about service, so I really want to continue doing service in college,” Salinas said.